Did Corporate Social Responsibility Cause the Financial Crisis? Peter Foster, a columnist for a Canadian newspaper, the National Post, caught my attention with a article reviewing the recent World Economic Forum held in Davos, Switzerland. 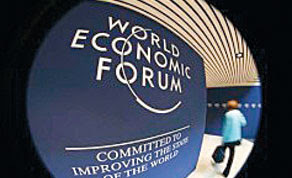 The WEF is a Swiss NPO looking to inculcate Corporate Responsibility into business practices around the world. Their motto is ‘entrepreneurship in the global public interest’. While I may not disagree with everything in Fosters shrill toned sarcastic article, I must take exception to the above quote. My exception is not based on a difference of opinion, but rather on poor journalism, and an columnists titillating reach exceeding his informed grasp. Corporate Social Responsibility had little, if anything to do with the sub-prime crises. Here is a brief primer for Foster’s readers, so they are not poisoned against good thinking by irresponsible comments made for effect. “Prior to the first decade of the 21st century, it was customary for a U.S. bank to exercise due diligence (an investigation into the applicant's history) when considering lending money for a mortgage. Banks wanted to know all about an applicant's financial stability -- income, debt, credit rating -- and they wanted it verified. This changed after the mortgage-backed security (MBS) was introduced. Eventually, the most desirable, qualified customers dried up; they all had homes. So banks turned to customers they'd traditionally shunned -- subprime borrowers. These are borrowers with low credit ratings who pose a high risk of defaulting on their loan. But lenders of all stripes bent over backwards in the early 2000s to get this type of borrower into homes. The no-document loan was created, a type of loan for which the lender didn't ask for any information and the borrower didn't offer it. People who may have been unemployed as far as the lender knew received loans for hundreds of thousands of dollars. Why? I highly recommend a read through of Josh Clark’s entire article at HowStuffWorks.com. Or, you can get their Stuff You Should Know podcast, and listen to it on the way to work. 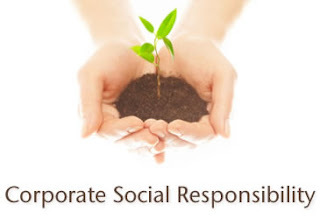 A foundational tenant for CSR is sustainability. Obviously, responding to a market driven demand by concocting an inferior product that would eventually hurt both homeowners and the uninformed investors of mortgage-backed securities is ludicrous. All that to say, the financial crises is about the best example of why CSR will be the norm for business in the near future. I won’t disagree with the ‘flake’ factor in many of these discussions and organizations, but there are serious people doing serious work in this field. Oh, and by the way - the UN itself is ‘an impossible dream’. We have it so that we are not left with only dreams of easily achieved mediocrity.